Is the Norway-Sweden border a model for UK-Ireland? Sharing a border of 1,600 km, with close to 80 crossings, Norway and Sweden face some of the challenges that Ireland and Northern Ireland may experience when the United Kingdom leaves the European Union. On Wednesday (16 August), the British government published a paper arguing there should be no border posts or immigration checks between Ireland and the British province of Northern Ireland after Brexit. It is also keen to keep disruption to trade to a bare minimum. The UK government on Tuesday (15 August) outlined its vision for a “frictionless” customs system, which one EU politician described as ‘fantasy’. Senator Mark Daly, deputy leader of Ireland’s opposition Fianna Fáil party, said the proposals for a frictionless border appeared “more like fiction, and clueless on this island”. “It will be a smugglers’ charter,” he told BBC Radio Four. Northern Ireland exported nearly €3 billion worth of goods to Ireland in 2015, according to official figures, and many businesses have complex supply chains that involve crossing the border multiple times during the production process. These are however familiar issues for EU member Sweden and non-EU Norway. Norwegians and Swedes have enjoyed open-border travel since before the EU came into existence – as have the British and Irish, who hope to maintain that uninterrupted free movement of people after Brexit too. Thousands of Swedes and Norwegians cross their shared border every day to work, to shop or for leisure. The Nordic neighbours tightened travel document checks after a large inflow of migrants into Europe in 2015 – but the number of arrivals subsided, and now passport checks are again rare. But Norway has remained outside the EU’s customs union – and British Prime Minister Theresa May’s government has indicated it also wants to leave the customs union after Brexit. 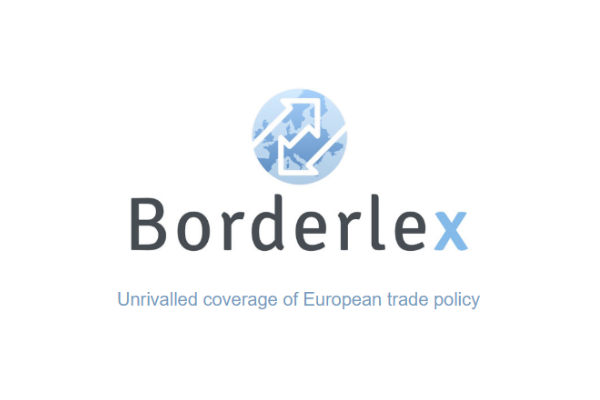 To keep up the flow of goods and enjoy the benefits of low or zero tariffs when companies trade, Norway has committed to harmonise its commercial rules with those of the EU. This Sweden/Norway border is interesting. I have never noticed that it's there crossing it. But apparently trucks have to do paperwork. However, individuals entering Norway face strict limits on what they can bring in. Tariffs apply for a wide range of items, including alcohol, tobacco, meat and other goods, with only small quotas being exempt from payments. 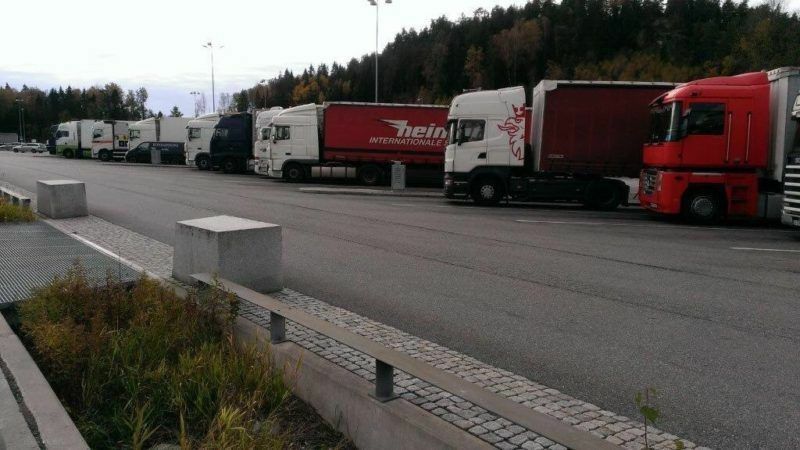 Another challenge is that, while one major Swedish-Norwegian crossing is staffed with police and customs officials, the vast majority of roads between the countries have no permanent presence of either. To prevent smuggling, Norway in 2011 began testing cameras with automatic number plate recognition (ANPR), allowing mobile customs units to trace potential offenders at unmanned crossings. In one key test area, cameras were involved in the more than half the cases where violators were caught, the Norwegian customs authority said in late 2016, and the government has decided that all crossings will now get cameras by 2019. In Norway, those who break the rules face stiff penalties even for small transgressions. For example, if you smuggle more than 10 litres of wine, on top of your allowed quota of six bottles, you get fined €365 and the alcohol gets confiscated. Those smuggling larger quantities face a term in prison. In its latest paper, Britain has said it does not favour electronic surveillance on its border with Ireland, though it has not ruled out some technology-based solutions post-Brexit. Ireland, which is keen to avoid any hard border with Northern Ireland, welcomed the British paper. Last week Irish Prime Minister Leo Varadkar called for the EU and Britain to find “unique solutions” to their Brexit logjam, including a bespoke customs union to govern trade between his country and the United Kingdom. Interesting, but we may not forget that Norway is a member of the EEA, Norway is a member of Shengen Convention, it applies already the Common Transit Convention and has trade agreements with all the countries that participate in the Pan-Euro-Mediterranean cumulation. Under these condition, it is possible for Norway to have this ‘soft border’ with Sweden and Finland. It is not yet the case of UK! Sorry to have been stopped by Euractiv system that said I am duplicating my comment! Let me continue: “arguments in favour of its position, however, when it refers to Cyprus, it seems it forget about the fact that EU and Turkey are in the same Customs Union! So, on that base it should defend the Customs Union approach (that is not, of course, consistent with its overall approach). Simply it try to mislead the governments of the other Member States of EU. Clearly if we follows the approach (agree on the principles) EU(27) (and I fear, in particular Ireland) may discover the practical implications of the proposed approach. I personally don’t think that you can compare the border between Norway and Sweden as being similar to that between the Republic of Ireland and the North of Ireland. There is no contentious issue between Norway and Sweden with regards to a section of either community believing that Norway and Sweden should be one country whereas in the Island of Ireland, on both sides of the border, there is a significant number of people who do actually believe, and are convinced in their belief, that one day the Island will be under one government with that being the Republic of Ireland. This conflict and belief is not new, it goes back centuries and whilst there is peace and calm at the moment on the island it is extremely fragile and it is no good the DUP or other strong Unionists burying their heads in the sand and saying a hard or even a soft border will not reignite the troubles that existed just a few decades ago. Brexit not only threatens the Good Friday agreement but also the 1922 freedom of movement agreement between the Republic and The North and I think that if the Unionists in the North look at the situation with a pragmatic view for the future, if not for themselves but for those that follow, then if Brexit is to happen then it may be best to have a united Ireland and vote accordingly. I fully agree with the historical and sociological differences between the situation in Ireland and the former case of the border between Norway and Sweden. I hope that the UK Government also understand it. If I consider now only the more economic and institutional aspects, it is possible to learn from the former case of Norway, provide we clearly understand as well the differences.